® Northern Belle Day Excursions. Imagine a world of opulent style and indefatigable glamour. An era suffused with the pioneering spirit of both the brave and the beautiful. 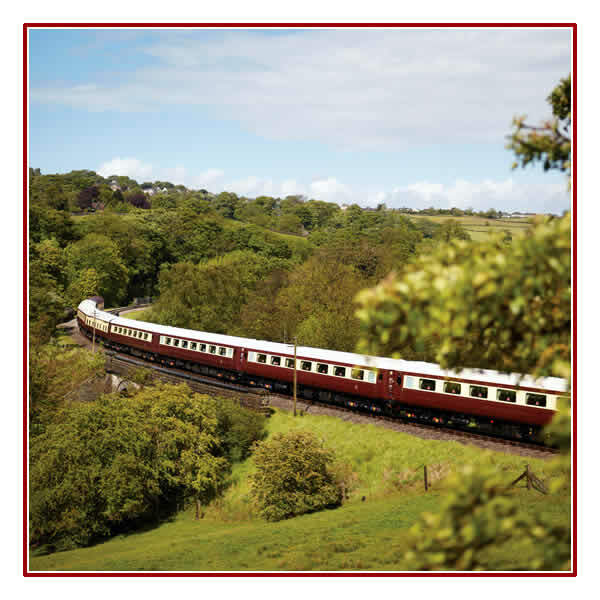 The Northern Belle carriages evoke this very essence of gallant adventure; a reflection of the classic 'Belle' trains of the 1930s that entranced and inspired as they traversed all corners of the British Isles. 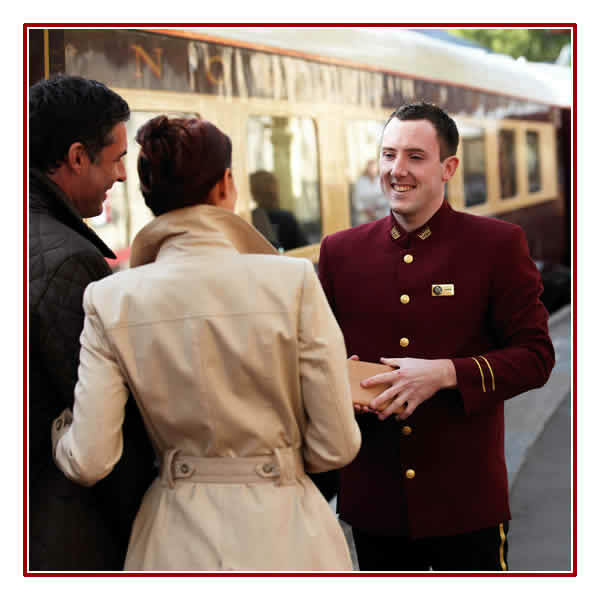 This 'Venice Simplon-Orient-Express of the North' is the first classic train of the new century, providing the ultimate in stylish and enjoyable day and weekend breaks throughout Britain from Manchester, Liverpool, York and other regional towns and cities. Breathe deep, and embrace the intimate 'country house' atmosphere of each unique carriage. At this level, luxury is timeless. Take time to gently explore the beauty of Britain's scenery: Dramatic castles, rolling countryside, tiny villages and great cities. 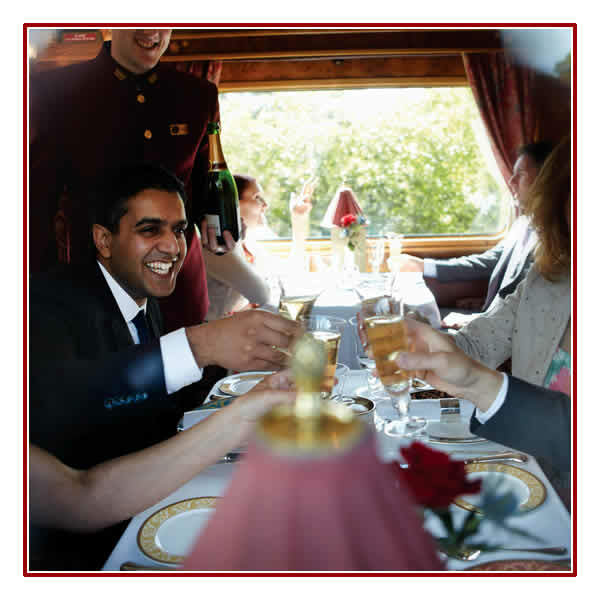 Immaculate carriages, superb food and service, and scenery to take your breath away are just some of the delights waiting for you on board the Northern Belle. Lavishly furnished with specially commissioned fabrics, intricate marquetry and glistening brass, every exquisite detail sets the scene for your dalliance with the romance of travel. The result is a beguiling combination of classical glamour and contemporary style. Introduced to provide the ultimate in stylish and enjoyable day excursions and short breaks throughout the North of Britain, the Northern Belle combines classic craftsmanship and contemporary engineering and is a reflection of the affluent 'Belle' trains of the 1930's. Each of the six dining carriages is named after a great British castle or stately home. Interior designs, created by James Park Associates, reflect the character of the stately home or castle that they are named after. Marquetry, fabrics and brass ware have been specifically commissioned from British craftsmen. Stunning landscapes and forgotten destinations are unveiled during leisurely days and weekends of discovery. This is Britain at its finest, and there is no better way to enjoy it. Board the Northern Belle and experience history in the making.